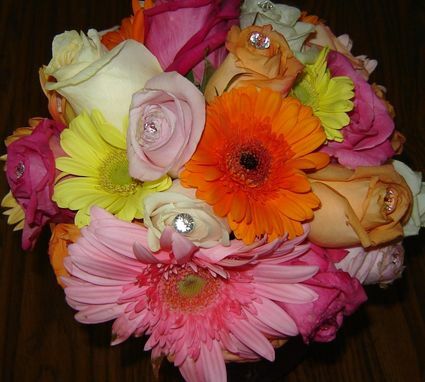 Floral Preservation ~ Bridal Bouquet With Wedding Invitation! 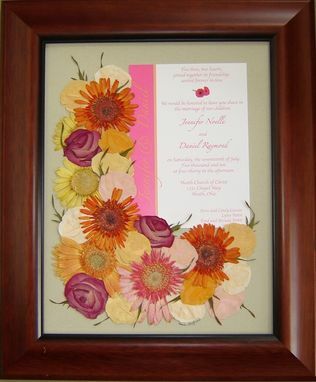 Pressed Flower Art Made From A Beautiful Bridal Bouquet of Roses and Gerbera Daisies! The Flowers were taken apart, then dried. These needed a little color enhancement, as they did not come out of the presses as vibrant as I wanted. 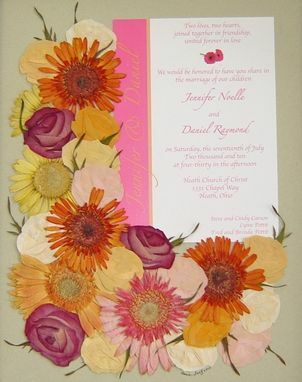 The flowers were then arranged around the Wedding Invitation! The art is vacuum sealed and professionally framed. Now it is an heirloom! Pressed Garden ~ Preserving Your Floral Memories!